For the longest time I didn’t like my first name. It didn’t feel right when I would say it. Kristina. Krist. Tina. Kristinuh. 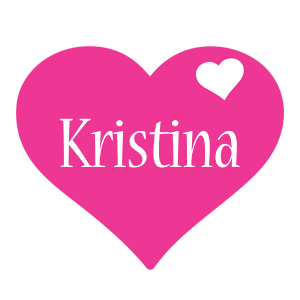 Nope, not me I wouldn’t have named me Kristina (as if there is someone more qualified than your mother to name you, right?). Most of my life I’ve gone by “Hutto,” my maiden name. Even in the work place Hutto seems to catch on and I’ve worked with people who preferred to call me Kris. Kris was okay, Kristina was weird. Considering my name was very close to being “Christmas Snow” I suppose I should just count my blessings. What I had to realize well into my 20s was that I was still the same person no matter what I answered to. It didn’t matter if it was Kris, Kristina, Tina (don’t call me Tina by the way), Marie (actual middle name), Hutto, X-Tina (yes, this has happened), I was/am still me. So why do we put so much importance on names? Even better, why do we put so much importance on titles? I’ve been guilty of chasing a title before. I knew what I wanted my title to be. I knew what I wanted to tell my family and friends and put on a resume. I literally had a goal to be staffing manager at a previous company and to bust it to be the youngest staffing manager in the company. That was all good and I did a lot of hard work to get there, but in no way did the title prepare me for the duties! Especially mentally, but that’s a blog post for another time. You know the saying when you know better, you do better? Well I know better now and my next chase will be a job description, not a title. I’ve interviewed countless people with titles that didn’t mean they did what the title implied. I’ve interviewed people with the right title and wrong job duties or wrong title and right job duties depending on your perspective. 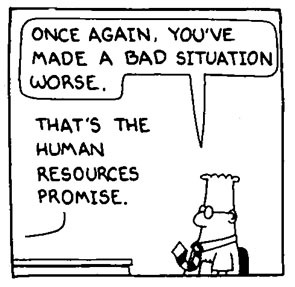 The same applies to our title “Human Resources.” I’ve seen some buzz about that title being offensive and dated. I think the same thing must’ve happened to the personnel title when it was time to throw it overboard. Truth is, changing our title isn’t going to change our functions is it? What do you do? Will that change if you come up with a new title? Recruiters, for example, are still recruiting even if they are calling themselves acquirers of talent. So much fuss goes into changing your title, getting away from the bad stereotypes that come with it, and creating a new brand instead of solving the problem. The problem comes from professionals that don’t do our job well. The problem comes from when employees have bad experiences with professionals that don’t do our job well. The problem comes from professionals that don’t work well with their organizations. Before we go fixing titles and changing names let’s look at the work we do and see if we are contributing to the problem or the solution.